An 8 week Mama and Baby Support Group that utilizes the chakra energy centers of the body as themes to explore postpartum identity and awareness. This is a sacred circle of sister mamas emboldened to nurture one another. New Moms enter the 'Celestial Mommyhood'; an exciting realm of physical recovery, re-identity, deep love and the mighty challenges of motherhood. Featuring the Celestial Mommy Program, this group consciously celebrates - through peer support and ritual - the transitions new moms (or 2nd & 3rd time moms) face while learning and sharing within a community. Along with making new friends, there will be plenty of time to share and ask questions as we explore topics such as: infant development and play, attachment parenting, breastfeeding, postpartum identity, natural remedies, self-care, and infant sleep. 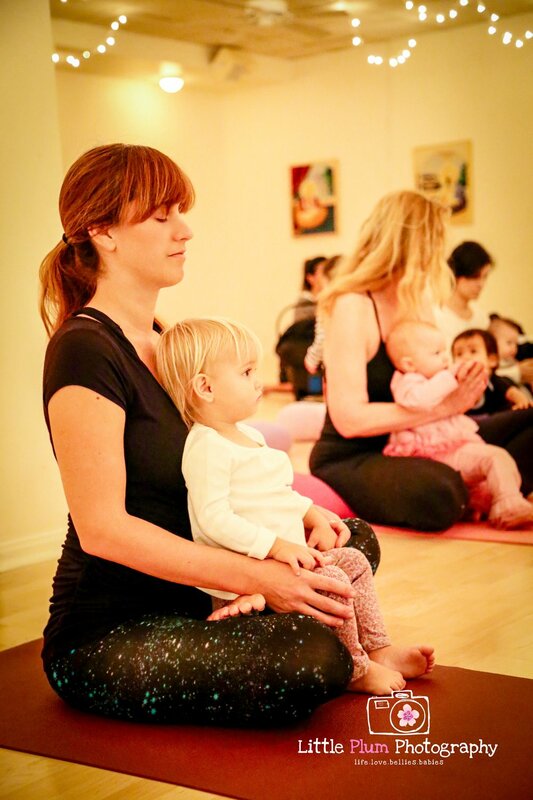 Mindfulness practices such as gratitude, affirmation, mantra, meditations, and fun baby yoga techniques will be gently explored. Resources for ongoing support, information and consultation will be available. Lactation appointments available before and after class and in your home. Call 323-549-5383 to confirm space availability. Your enrollment and commitment helps make our class community possible. Classes take place when the minimum number of participants are enrolled. Classes can fill quickly and places are not guaranteed. You may sign the waiting list. Class location, times, prices and start dates are subject to change. The standard 8 week enrollment is the basic package . Contact us to enroll pro-rated. Drop-in's are discouraged due to the intimate, private and confidential nature of the classes. Price includes all absences, make-ups are only given for classes cancelled by teacher. Please keep sick babies homes as per pediatricians advice. This group is not a substitute for professional clinical therapy. Many teachers are on-call as doulas and reserve the right to a make-up class if a substitute cannot be found. Inform teacher of any vacation or change when you enroll, make-ups only given if their is space in class and if pre-approved. Refunds only given within 72 hours prior to class series or trainings. There will be a $50.00 administration fee for all cancellations. Thank you in advance for your business.